House Speaker Nancy Pelosi of Calif. and other Dems promised that the House would pass a climate-change bill by the end of this year. 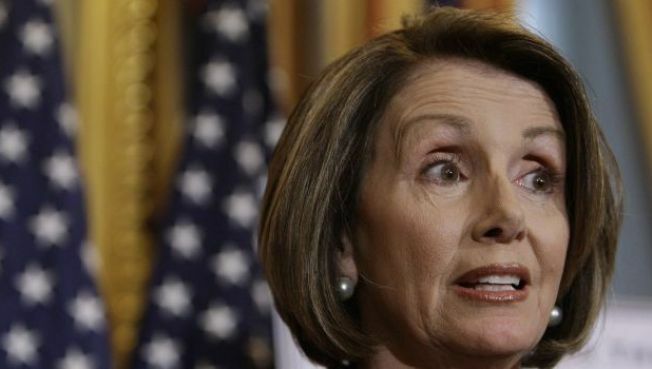 Speaker Nancy Pelosi promised again Tuesday the House would pass a climate-change bill by the end of this year, despite the entrenched reservations of moderate Democrats. Even if Pelosi muscles a bill through the House, few expect that legislation to go anywhere in the Senate, which will soon be bogged down in a major health care debate. Despite that hurdle, House Energy and Commerce Chairman Henry A. Waxman (D-Calif.) reiterated his own promise on Tuesday to move major legislation through his committee by the end of May. His bill seeks to cap carbon emissions and, in the process, create a market for companies to trade the credits auctioned off to them. Committee passage be tough for Waxman, given the number of moderate Democrats on his panel. And many of the most controversial details have yet to be worked out — in public, at least. In the interim, Waxman and others hope a recent ruling by the EPA that cabron emissions present a major health risk to the country should spur Congress to act. "The question is whether Congress deal with it or will EPA deal with it in a regulatory approach," Waxman said. "Most people would recognize that it's preferrable to have Congress deal with this issue." Hailing that decision as "the environmental equivalent of Brown vs. Board of Education," Massachusets Rep. Ed Markey, who chairs the subcommittee drafting the cap-and-trade measure, acknowledged that the landmark ruling means Congress has "the responsibility to act." As if this weren't complicated enough, Pelosi may also need to referee a turf battle over how those carbon credits are auctioned off, how the revenues are spent and what industries get a break from the new law. On Tuesday, Ways and Means Chairman Charles B. Rangel (D-N.Y.), whose tax-writing panel will claim some jurisdiction over the eventual bill, downplayed the speculation about a turf war. "All I have to say is that all of the chairmen is going to make it very easy for the speaker to have a bill," Rangel said. But asked more specifically how the chairmen will settle their differences about the allocation of carbon credits, Rangel opened the door for a genuine policy dispute between the respective committees. "Let me make it clear: This is not a jurisdictional dispute," Rangel said. "It's a question of what is best for the Congress to produce."